“The material on this page, including the food lists, is copyright by Andrew Hall Cutler and used here with his permission. 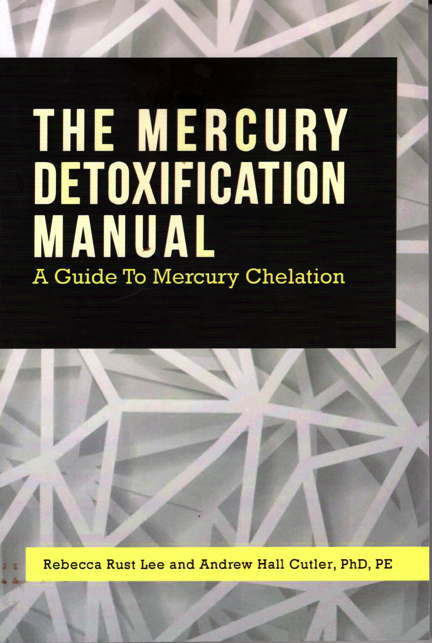 In his excellent books, most recently “The Mercury Detoxification Manual”, Dr Andy Cutler educates that many mercury-toxic people are intolerant to certain foods, commonly known as ‘sulfur foods’, which have a high free thiol content. Consuming foods high in thiols raises the circulating thiol levels which in turn mobilizes mercury and creates symptoms. The onset of reaction of symptoms is fairly prompt, with the tired/icky/depressed part starting within a few hours, and can last for 4-7 days. You might even enjoy eating these foods and believe that they do you no harm, but their reactions can cause you a lot of undue suffering. Important: It is only food that contains a high level of free thiol groups, and not literally any food that contains elemental sulfur in any form, that are the culprits. 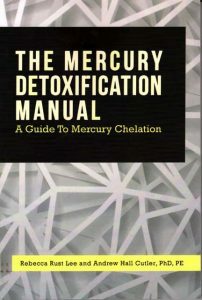 Andy notes: “I estimate that 33-50% of mercury toxic people have elevated plasma cysteine”, which effectively means that those people will battle with sulfur foods. In essence, everybody planning to chelate should do a sulfur exclusion trial at least once to determine if there is a sensitivity to sulphur foods and avoid a lot of suffering. All high thiol foods and supplements containing thiol groups (see list below) are strictly avoided for a seven day period. Seven days allows the effect of the last ingestion to wear off. Again, the negative effects of sulfur occur over a 4-7 day period after the last sulfur ingestion, which means you need to exclude all sulfur foods AND sulfur supplements for at least a week before you know what is going on. ALA is also on this list and thus no ALA-chelation should be done during the sulfur exclusion trial. If your health improves while off the sulfur foods and regresses after adding them back, you have an intolerance to them and should avoid them. When you are on a low thiol diet, do not eat ANY amount of high thiol foods. Sulfur food intolerance in mercury toxic people has more to do with the mobilization of mercury caused by raised cysteine levels and excess thiols, rather than a direct allergy/intolerance to sulfur foods per se. Either way, you will need to avoid them if you show an intolerance to them, or, as some people have found, keep them to an absolute minimum. It seems there is a critical threshold of high thiol food intake for many and if you remain below this, little harm is done. The foods mentioned on the ‘food high thiol’ list below, are ones that are metabolized in a specific sulfur pathway that causes the problems for mercury toxic people by increasing free thiol levels. These foods contain the free thiol groups that interact with and mobilize mercury inducing symptoms such as tiredness, emotional distress and other non-specific ailments. Many misleading ‘sulfur food’ lists on the web are simply indicating the total amount of elemental sulfur, rather than talking about foods that contain thiols, or that metabolically convert into them. ALA (Alpha Lipoic Acid or Thioctic Acid). Obviously this needs to be used for chelation purposes at some point, whether you are sulfur intolerant or not, but it MUST always be used properly, and according to its half-life, as described in Andy Cutler’s oral chelation protocol. If you are sulfur-sensitive, you may only tolerate small amounts of ALA, so start low just in case. This is not always true, but worth remembering. Also, do not take ALA during your sulfur exclusion trial. Turmeric is really good at raising thiol levels. Molybdenum is very good at supporting the sulfur pathway and worthwhile supplementing. Dose = 500 – 1000mcg/day. If you have elevated cysteine and you want to convert some glutathione, take 2:1 weight ratio of glutamine and glycine and your body will do the rest.